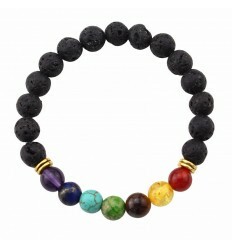 Bracelet 7 chakras lava stone and semi-precious. 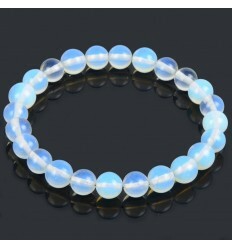 Purchase cheap. 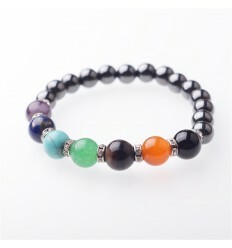 > Ethnic & Chic fashion jewelry>Bracelets>Bracelet 7 chakra, stone of lava, and 7-precious stones. 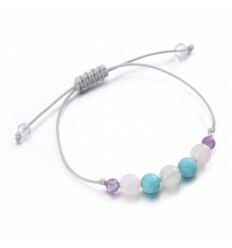 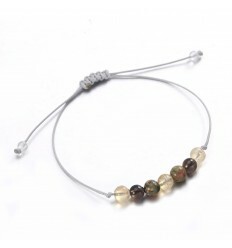 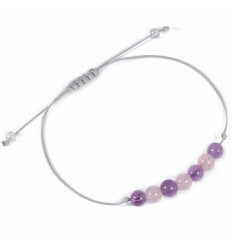 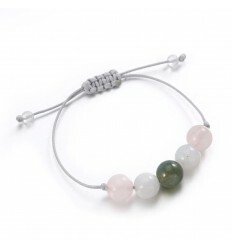 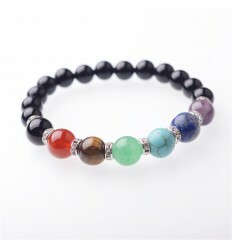 Bracelet 7 chakra, stone of lava, and 7-precious stones. 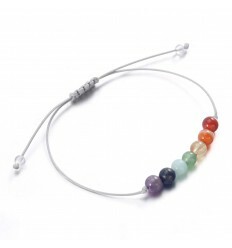 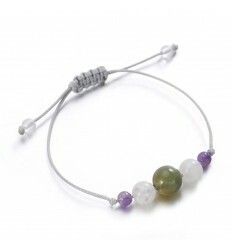 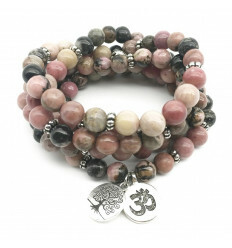 Bracelet Lithotherapie 7 chakras stone natural lava and 7 semi-precious stones. 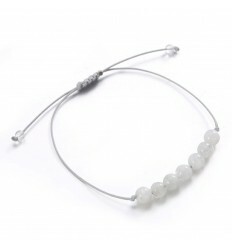 Elastic, it adapts its size to that of the wrist ! 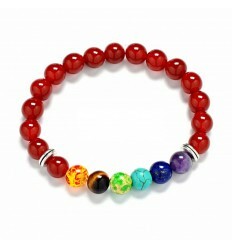 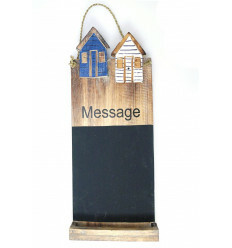 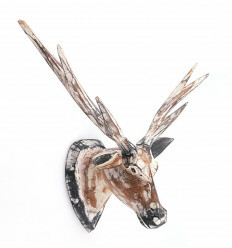 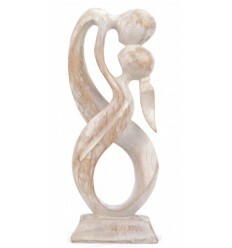 Therefore, it can be worn by the majority of adults regardless of the morphology. 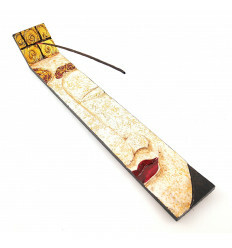 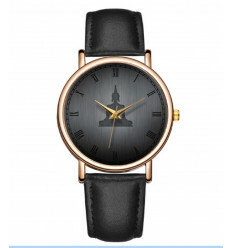 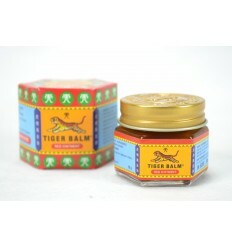 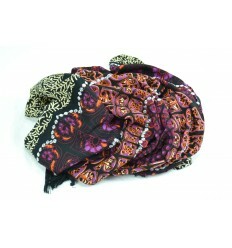 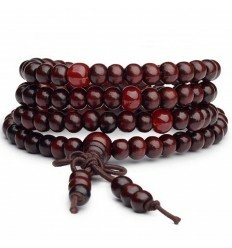 Length = 18cm (perfect for wrist from 16 to 19.5 cm). 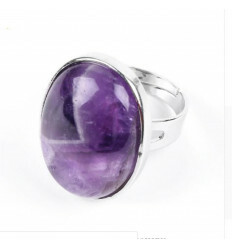 Weight = 23g approx. 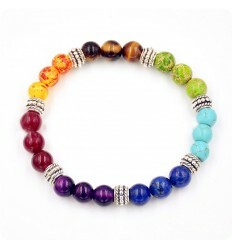 Diameter of beads = 8mm. 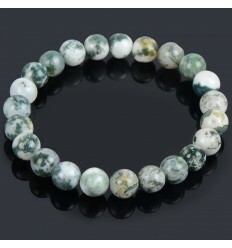 Stones rolled from "extra"quality. 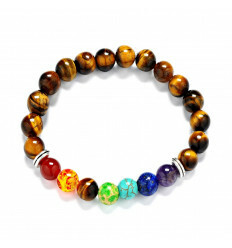 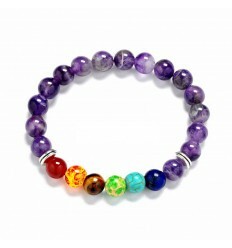 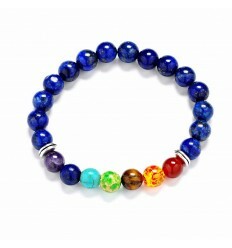 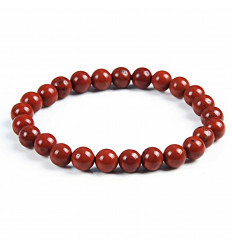 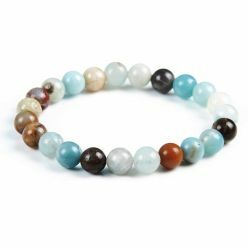 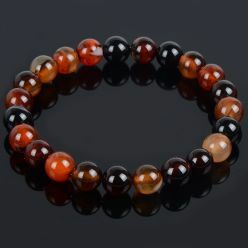 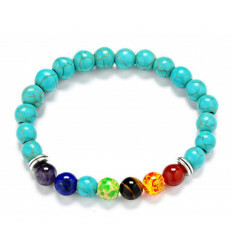 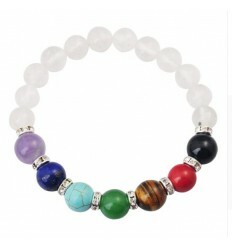 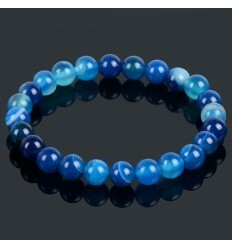 This bracelet is composed of 14 beads made of lava stone natural, + 7 beads of semi-precious stones that regenerate and revitalize our 7 main chakras according to their color : red agate, carnelian (orange), tiger eye (yellow/brown), aventurine (green), agate tinted (blue), lapis lazuli (navy blue), and amethyst (purple). 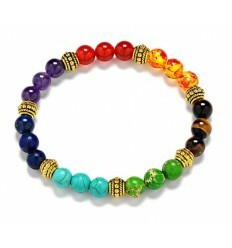 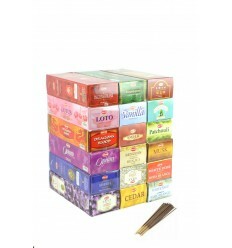 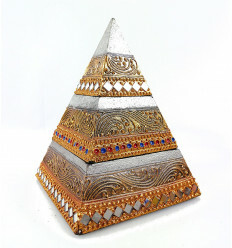 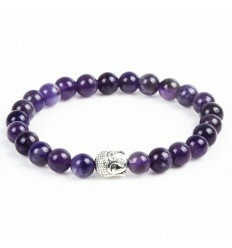 There are also 2 beads with metal hypoallergenic and stainless, including one depicting a Buddha's head. 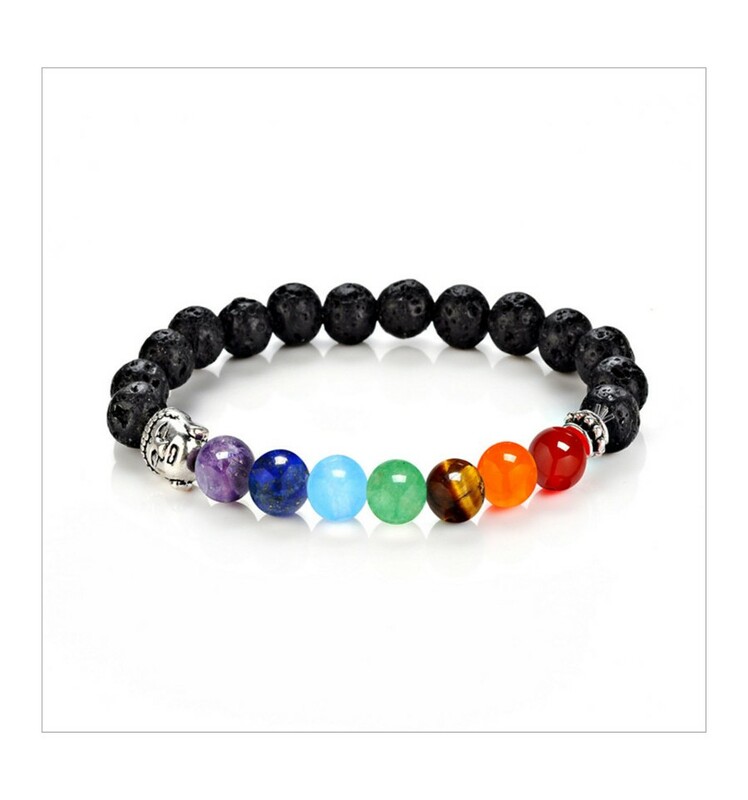 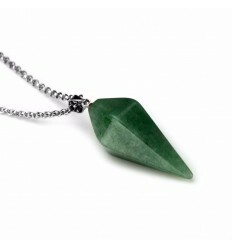 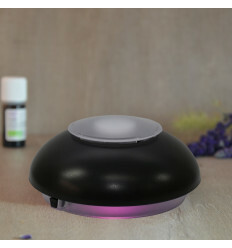 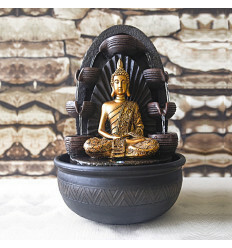 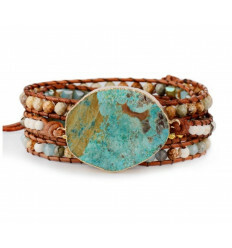 In lithotherapie, the lava stone is the stone that connects us to the earth, providing us with inner peace, joy and spontaneity. 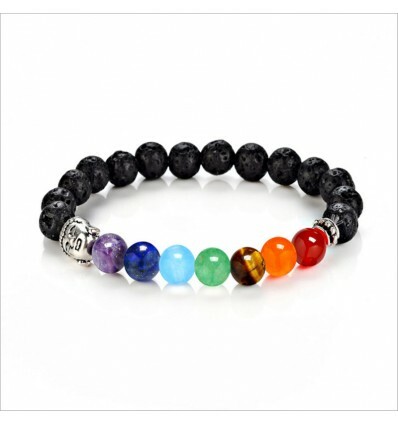 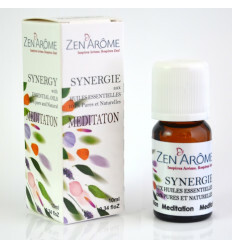 The 7 other semi-precious stones have been selected to enter into resonance with each of our 7 chakras, in order to regenerate and revitalize, and which contributes to our inner well-being physical and mental. 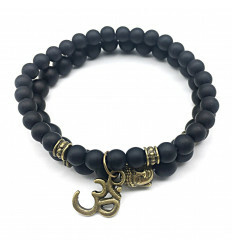 Beau bracelet un peu serré tout de même. 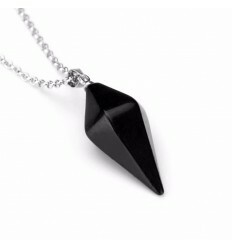 Pendulum, onyx black, cone shape polished. 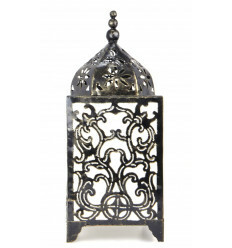 Giant dream catcher pink disco - perfect rear-view mirror !